This photograph shows inmates W. Grimmett, 8107, and John Yordi, 2862. W. Grimmett was received at the Kansas State Penitentiary on April 19, 1897 from Marion County, Kansas. 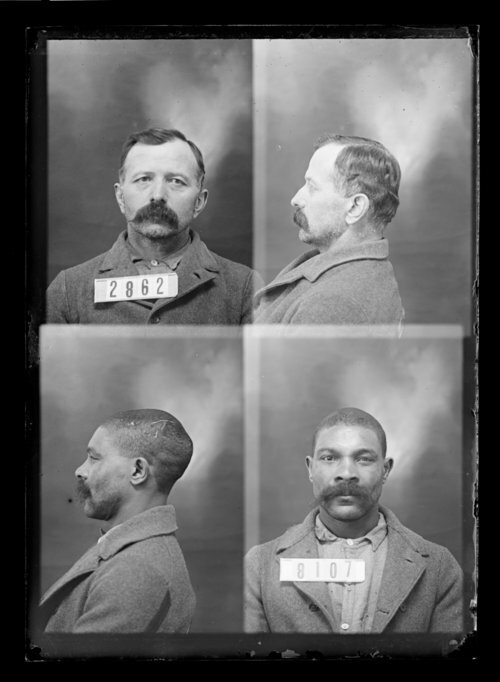 John Yordi was received at the penitentiary on February 12, 1883 from Brown County, Kansas. Both men were arrested for murder.